During exams, do you…feel like you “go blank”? Become frustrated sooner than you think you should? Do you have an actual physical reaction to the test…do you feel your heart racing or find it difficult to breathe? Math test anxiety is real and it affects millions of students. Truth is, it has existed for as long as tests have been issued to evaluate students. But what if the anxiety actually helped you in your test? A University of South Florida study suggest that math anxiety paired with high ability actually improves performance. And how do you do this? Relaxation techniques are important here, but it is critical that you have worked through the material and have practiced some test taking skills. 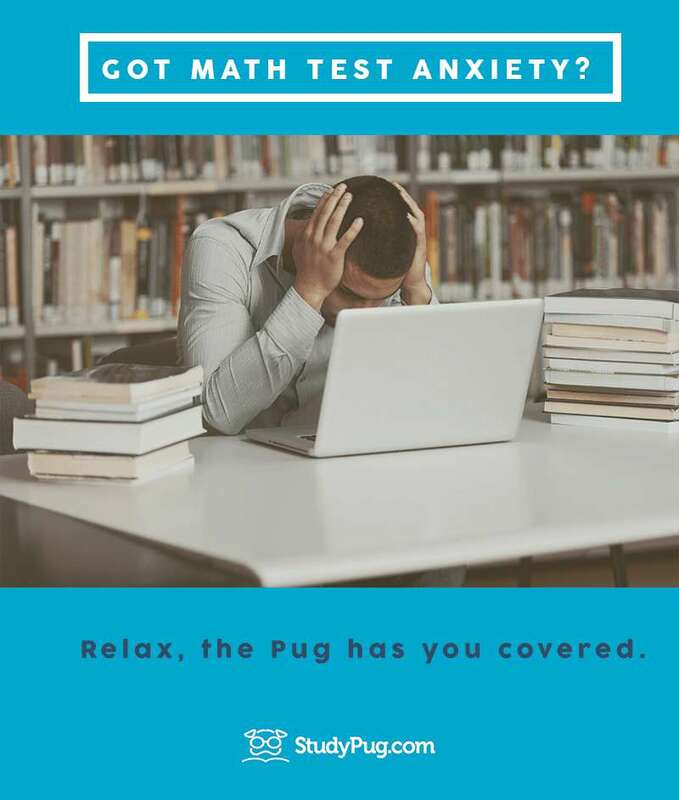 StudyPug.com offers 24/7 quality math help and test taking tips that will help you with your math test anxiety and get you that better math mark.